With the closing of nine of Philadelphia’s 19 obstetric units between 1997 and 2005, resulting in 40 percent fewer obstetric beds, an important public health question emerged: How does the closure of hospital maternity units affect outcomes for mothers and their babies? In order to answer that question, neonatologist and researcher Scott A. Lorch, MD, MSCE, of the Center for Outcomes Research at the Children’s Hospital of Philadelphia, turned to Pennsylvania Health Care Cost Containment Council (PHC4) for data and services to conduct a study, “The Impact of Obstetric Unit Closures on Maternal and Infant Pregnancy Outcomes.” The study was the first to systematically analyze the effects of large-scale urban obstetric service reductions on maternal and child health. Pennsylvania is one of only a handful of states that have enough quality data and the data-linking capabilities for such an analysis. Missouri and California data were also included in the study. The study results, published online in Health Services Research,¹ showed that, compared to a pre-closure period of 1995-1996, the reduction in obstetric bed supply resulted in an initial increase in newborn mortality between 1997 and 1999. After 2000, the newborn mortality rates settled back to pre-closure levels. This return to pre-closure levels could be the result of adjustments made by the remaining open hospitals to accommodate the higher number of deliveries, as well as efforts by the Philadelphia Department of Public Health, which made a concerted effort to manage the closures in Philadelphia. Since 2005, the end of the study period, three additional maternity units in Philadelphia have closed; only six remain open. Dr. Lorch and his colleagues are currently working on another study using PHC4 data. For the new study, the researchers are comparing Philadelphia to other large metropolitan areas–Pittsburgh, Lehigh Valley, and the counties surrounding Philadelphia–to find out how the health care system and patients respond when obstetric unit shutdowns occur and whether there is a ripple effect or shockwave effect when even one or two obstetric units close. Two different groups are being studied: 1) the women and babies directly affected—those who would have gone to the closed unit; and 2) the women and babies indirectly affected—those who delivered at the hospital that absorbed the patients from the closed unit. The two groups will require different interventions. Both studies can inform policymakers and health care planners as they attempt to maintain or improve the value and efficiency of obstetric care as the supply of obstetric units change in a given market. With this information, they can take measures to mitigate adverse effects resulting from closures. To make a seamless transition, hospitals that remain open must gear up for different patients from a wider geographic area, work with prenatal clinics to link women into the system from prenatal care to hospital discharge, deal with staffing issues, and possibly open new obstetric units to accommodate an influx of patients. Successful transitional measures could be replicated elsewhere. * PHC4 can only link mothers’ delivery hospitalization records to their babies’ newborn hospitalization records by using Pennsylvania Department of Health birth certificate data. Scott A. Lorch, MD, MSCE, is Associate Professor of Pediatrics at the University of Pennsylvania School of Medicine, with appointments in the Center for Clinical Epidemiology and Biostatistics, and a senior fellow of the Leonard Davis Institute of Health Economics at the University of Pennsylvania. He is a faculty investigator at the Center for Outcomes Research centrally involved with projects concerning health economics and quality of care research in both adult and pediatric settings. Dr. Lorch is currently the principal investigator on several federally funded projects. 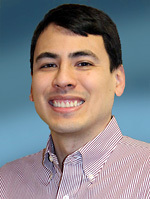 He is also an investigator in the Pediatric Quality Measure Program site at The Children’s Hospital of Philadelphia, leading a study of the influence of various enrollment eligibility requirements on changing the assessed quality of states using the first 23 core quality measures for pediatric care published by AHRQ.